Bundt Cake is a bit shy at first. She tends to find a cozy spot and keep to herself. If you approach her slowly in her spot, she'll allow you to pet her. She prefers that other cats respect her space, but she peacefully coexists. Born in 2016, she came from a California shelter. She's a tiny girl who loves her food, so perhaps she can be bribed. 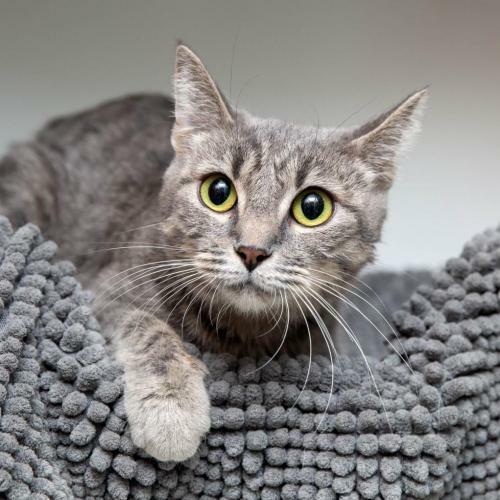 Bundt Cake will be cuddly once she's comfortable in a home.